The Magnetic Levitator teaches young scientists about the effects of magnetism through a striking visual display. Repelling magnets cause the levitator to float above its base, seemingly defying gravity. The levitator spins easily at the slightest touch, demonstrating the anti-gravity effect. Size: 1-Pack Teach children about the invisible power of magnetism with the ToysmithMagnetic Levitator. The Magnetic Levitator teaches young scientists about theeffects of magnetism through a striking visual display. Repelling magnetscause the levitator to float above its base, seemingly defying gravity. Thelevitator spins easily at the slightest touch, demonstrating the anti-gravityeffect. Complete assembly instructions included. No batteries required. 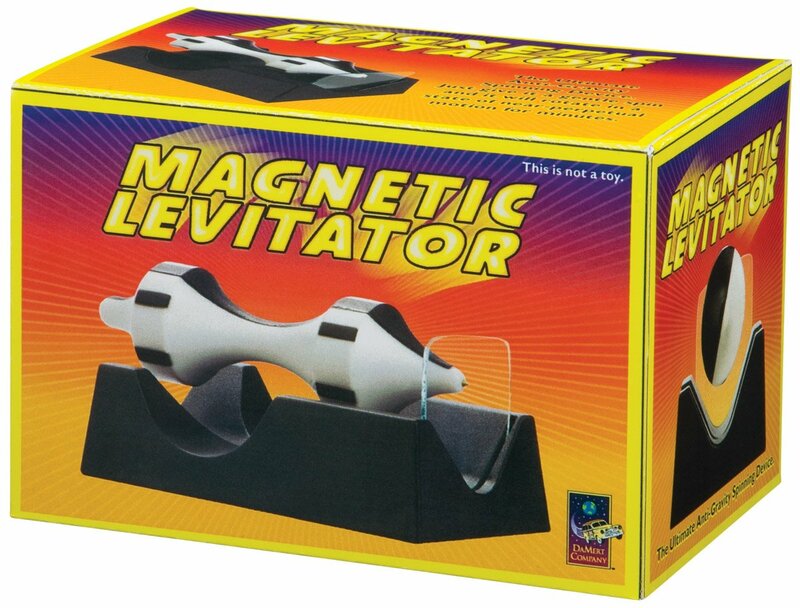 From the Manufacturer Magnetic Levitator features repelling magnets that make the levitator appearto float in space, spinning above its base. No batteries required.